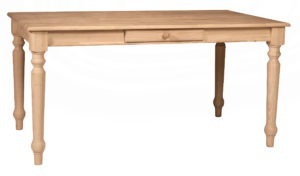 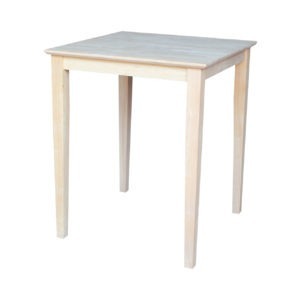 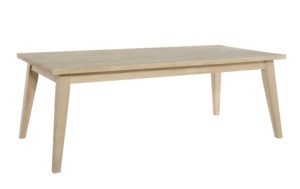 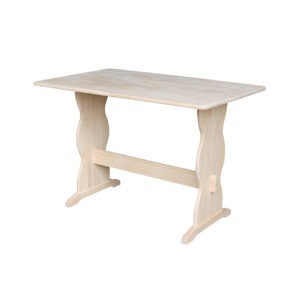 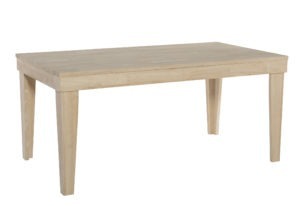 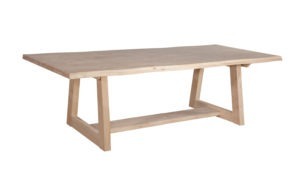 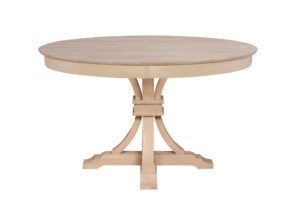 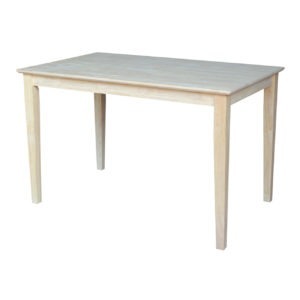 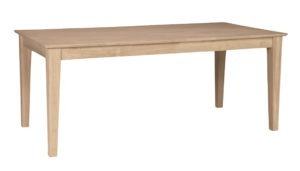 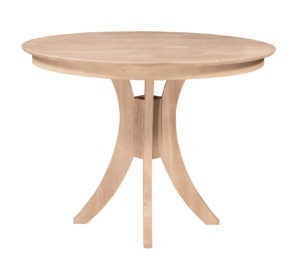 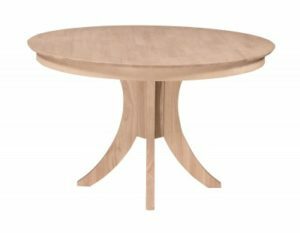 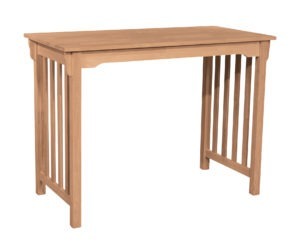 Our solid wood fixed top dining tables have no leaves. 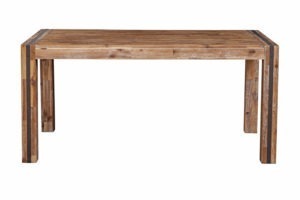 They are solid wood and the grain will run the length of the table and not across like leaf tables. 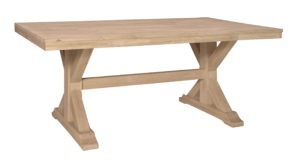 We offer solid wood unfinished and select factory finished options. 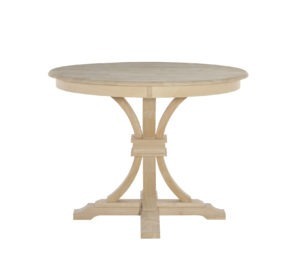 Can’t find the type you are looking for, feel free to contact us at the store and we can discuss other options.